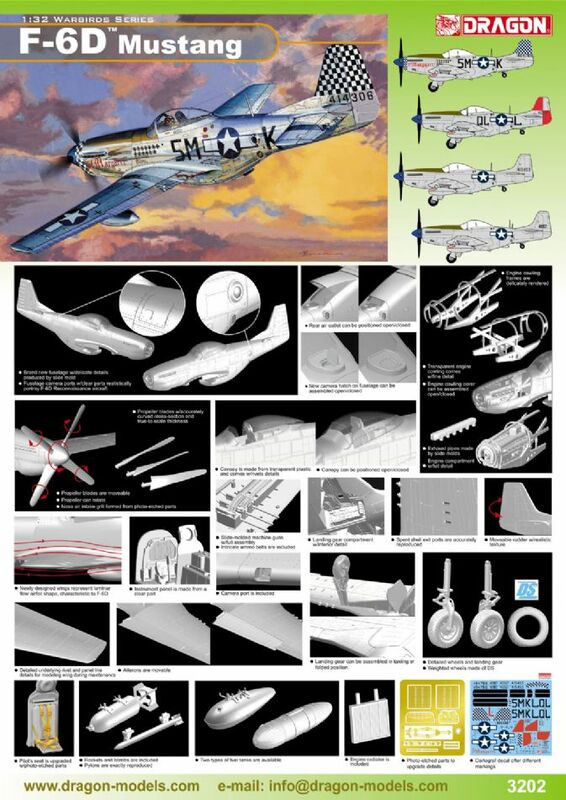 The P-51 Mustang was first manufactured as a result of an RAF request in 1940 for a fast, heavily armed fighter able to operate at altitudes of more than 20,000 feet. 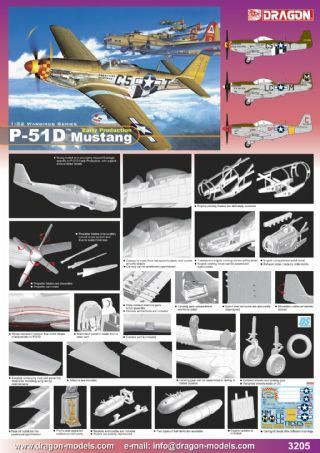 The P-51D was the most widely produced variant of the Mustang family, and one of the photo reconnaissance version was designated F-6D. A total of 126 P-51D Mustangs built at the Inglewood plant were converted to this F-6D version. 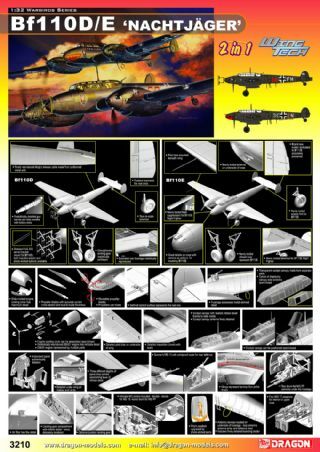 They carried two cameras in the rear of the fuselage, generally a K17 and a K22. One camera was aimed almost horizontally to the left while the other was directed downwards at an oblique angle. 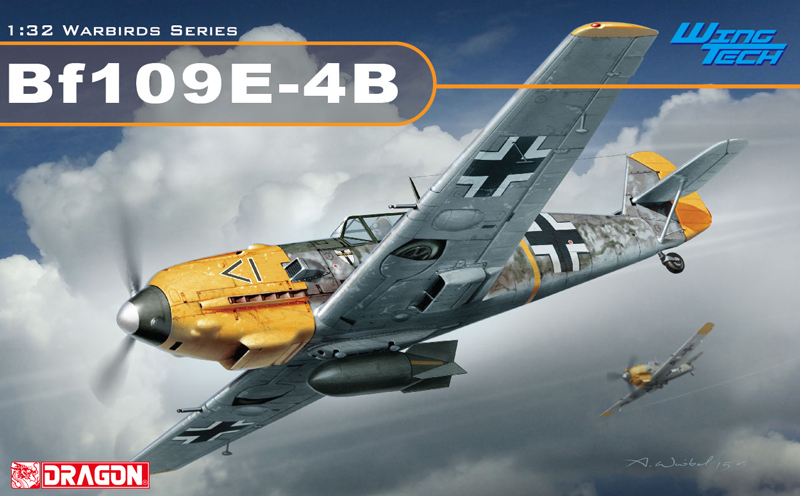 These specially equipped aircraft were used to gain vital aerial intelligence over enemy-held territory. 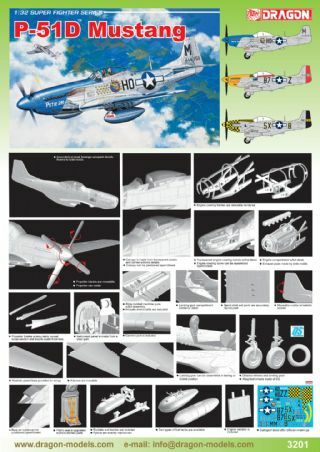 Dragon has released a fine 1/32 scale kit of one of these photo reconnaissance F-6D Mustangs. 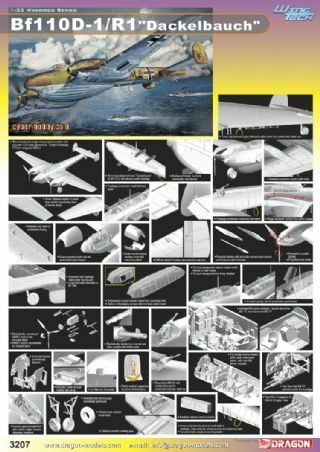 This is only the second 1/32 scale aircraft kit from Dragon, and what a fine one it is! In order to incorporate the installed cameras on the left and underneath, the fuselage has been completely retooled. The camera ports are made from transparent plastic in order to give an accurate appearance to their lenses. 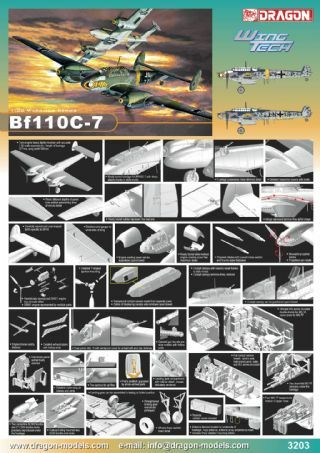 This high-quality kit is just brimming with detail, and modelers will find it fits together with consummate ease. 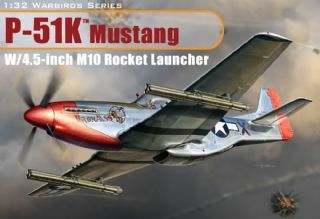 Cartograf has also provided a selection of decal markings for modelers to finish off their Mustang masterpieces. This photo recon Mustang is ready to start clicking away!